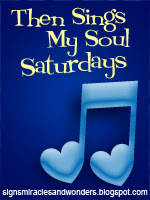 Need some uplifting music on this Saturday or have a song in your heart you want to share? Visit Amy and link up to TSMSS. I love Casting Crowns and this is one of my favorites...enjoy your weekend! He hears us when we call. He looks on us with love. Not because of what we've done. But because of who He is. Beautiful song! Thank-you for sharing it :). I love this one too! I've never heard of this link up! How fun! Thanks for visiting my blog via Patty! It's always nice to "meet" new visitors to my blog! Hope you are having a blessed weekend! I am also following you now! definitely one of my fave! I love this group too. :D Have a wonderful weekend.